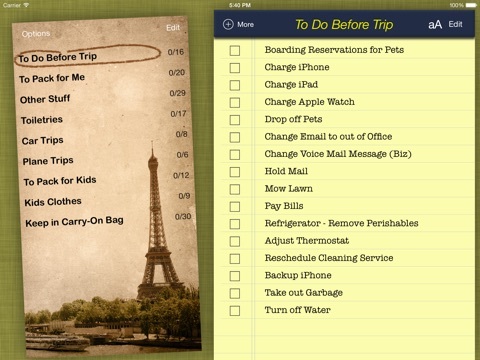 Get to the airport comforted by the fact that you have everything! Now even more convenient with Apple Watch support! Have a great trip! 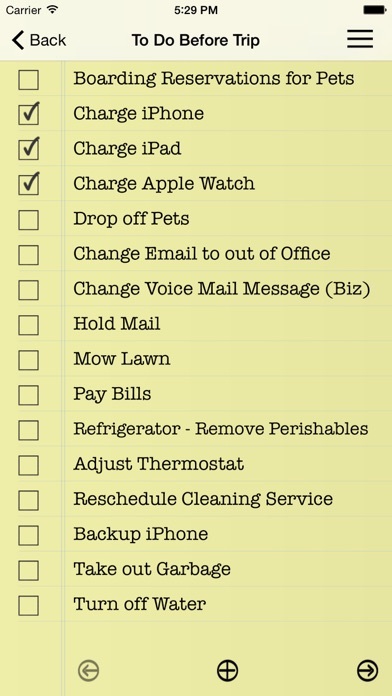 √ Make a specialized list for anything! 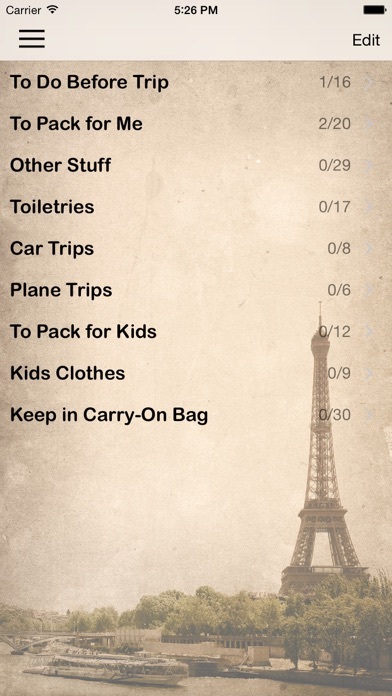 √ Essential Travel Checklist is a customizable set of checklists for the causal and serious traveller. 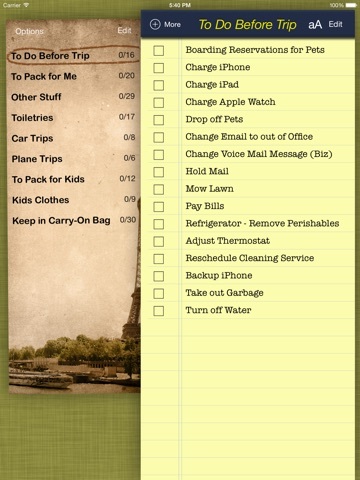 √ Start with our extensive checklists, and add or remove items to make it perfect for you. 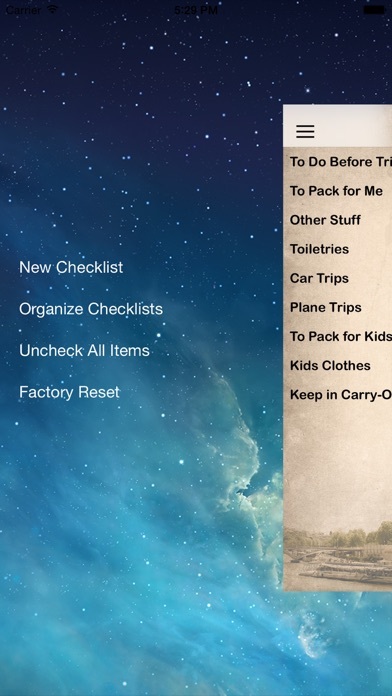 √ Easily clear all checked items for next time. While we rarely crash, when did, and we fixed it. 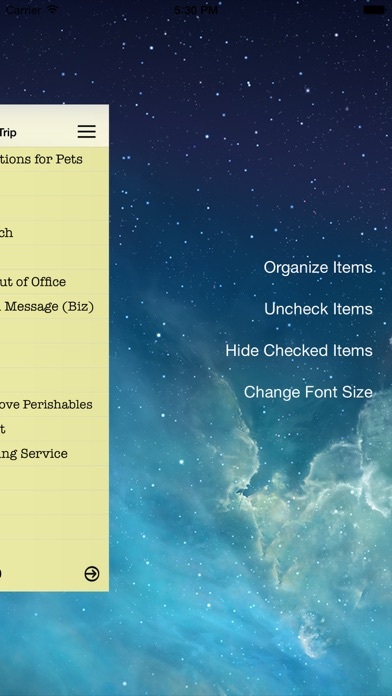 Of course, Apple Watch support was just added and there are some new nifty side menus to further clean up the interface.